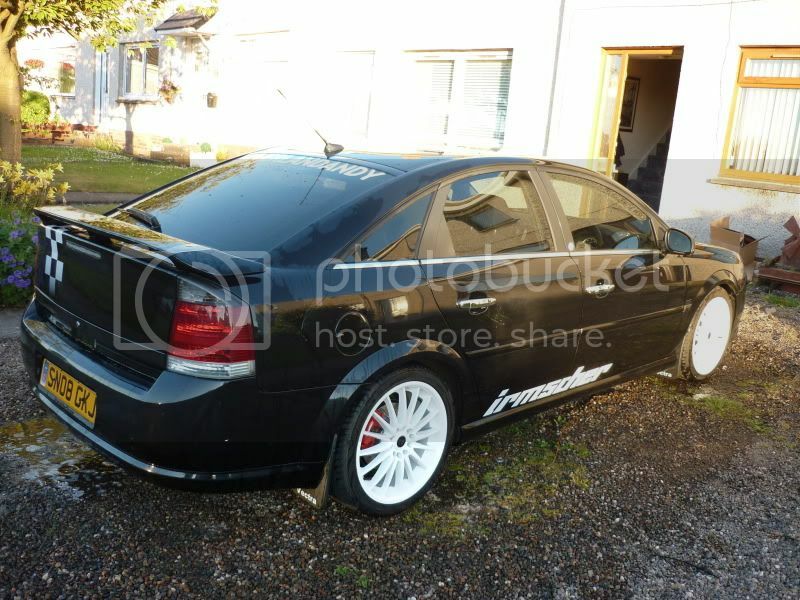 hi all just had the car photoshopped with irmscher stickers on what do we think? I'd prefer to see a solid black with the decals cut out so the Irmscher would be in red if you catch my drift. YES! But I think they need to be a shade of grey rather than jet black. Look a bit strong as is. No, sorry dont like them. This is what im on about. I think it'll go very nicely with the wheels.